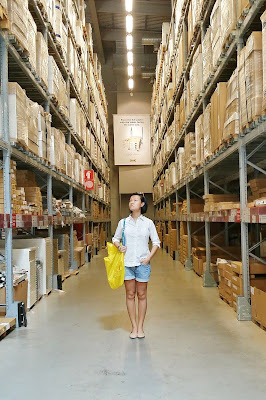 This trip set me thinking, what makes IKEA so appealing? Whether you're in Taiwan, America or Japan, IKEA smells like IKEA. For all those olfactory folks out there, you know what I mean. There's a certain comfort and homely warmth that I associate with that particular smell. But even if you furnish your house entirely with their products, I can assure you there's no chance in replicating that smell. This is a crowded country. People are everywhere! But when you get to IKEA, somehow, despite the crowd, it feels spacious. Wide rows and high ceilings with bright lighting. Until you come to the checkout counter of course. I've lost count of the number of times I've read IKEA catalogues and thought to myself - I could live in a space like this. Then you get to the store and it's exactly that. Families are having a good time laughing on the sofa or dining table sets. Newly married couples are giggling as they test mattresses. Students are taking selfies at the toy section. And that cute grandpa who is lounging on a deck chair waiting for his wife. No one get scolded for trying things out. In fact signs everywhere encourage you to do so. This is a great selling point, if you like it, you'll buy it! I love IKEA. Practical. Affordable and always inspiring. Here's wishing you a great week ahead! Enjoy yet another public holiday! 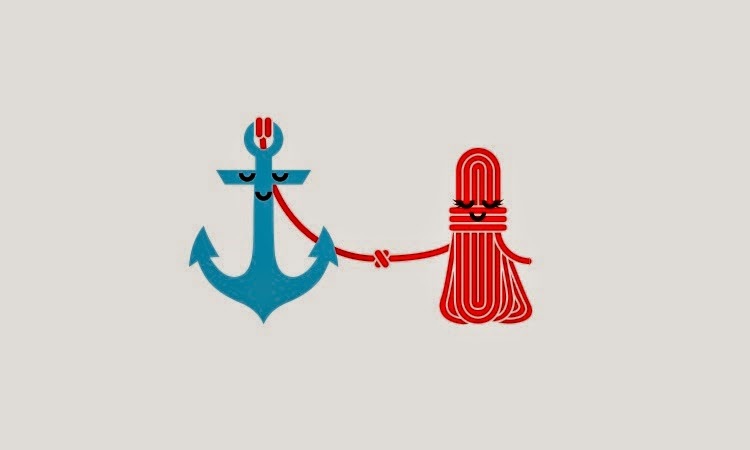 when a tangled mess of rope falls in love with a stable anchor.